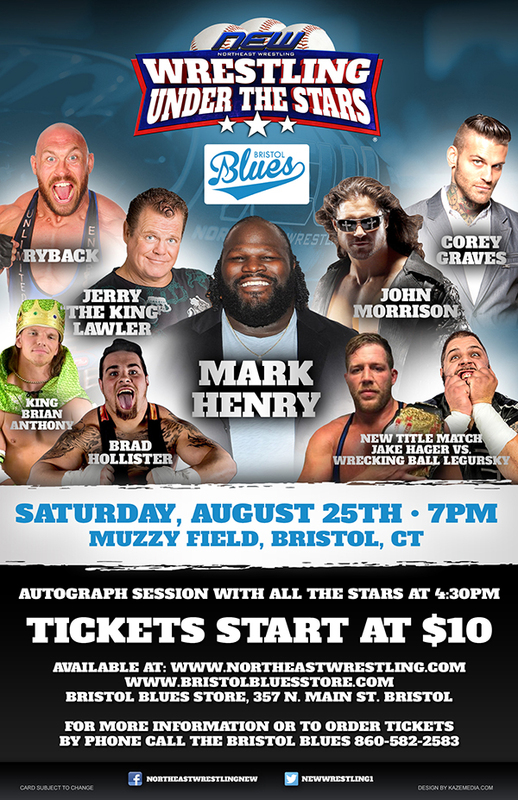 MUZZY FIELD » 8/25/2018 » BRISTOL, CT » 7 P.M.
Northeast Wrestling's "Wrestling Under the Stars" tour comes to Muzzy Field in Bristol, CT on Saturday, August 25. 7 p.m. bell time. 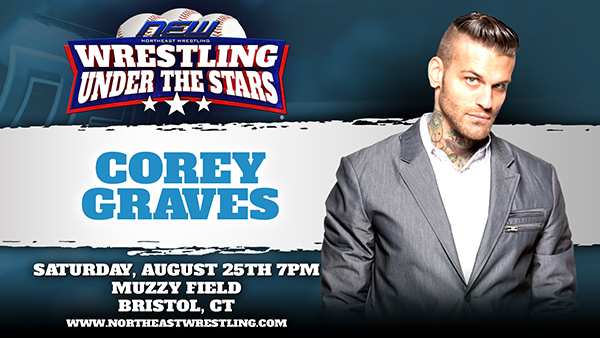 Meet & Greet with all of the stars at 4:30 p.m.